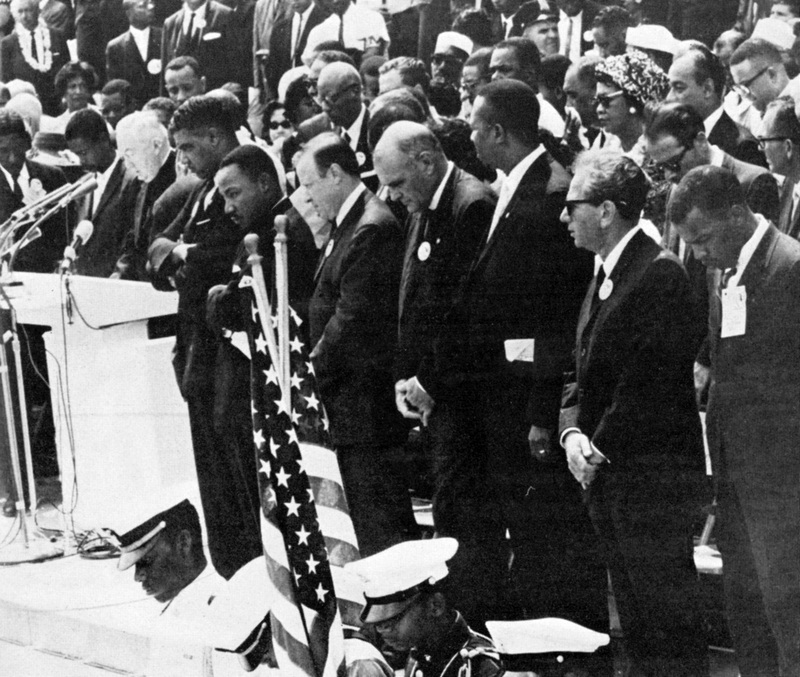 On August 28, 1963, many Presbyterians came out to support the civil rights movement at the March on Washington for Jobs and Freedom, one of the largest political rallies in American history. Organized by civil rights, labor, and religious organizations, the peaceful march drew nearly a quarter of a million Americans from across the country, despite the stifling heat of Washington, D.C. in the summer. 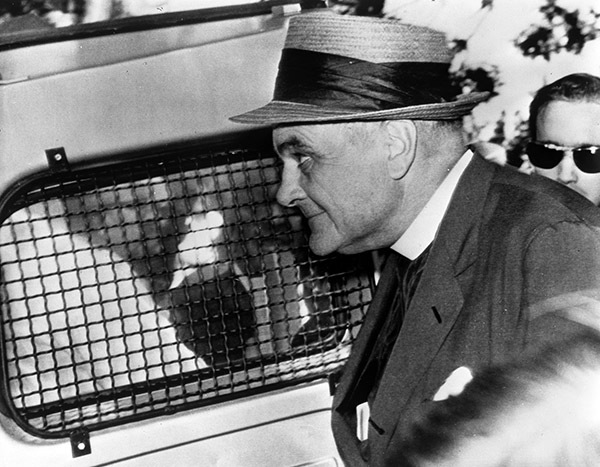 Along with other clergy speaking on that day, Eugene Carson Blake (Stated Clerk of the UPCUSA and chairman of the National Council of Churches of Christ's Commission on Religion and Race) marked the commitment of the NCCC and its member churches to work towards transforming the political climate to one of social justice and equality. Other Presbyterian leaders at the March included Jon L. Regier, a UPCUSA minister and head of the Division of Christian Life and Mission of the NCCC; John Coventry Smith, Executive Secretary of the Commission on Ecumenical Mission and Relations; William Morrison, Executive Secretary of the Board of Christian Education; and Kenneth Neigh, Executive Secretary of the Board of National Missions. The great finale of the March was Dr. Martin Luther King’s "I Have a Dream" speech, which aired live on TV and inspired millions to continue to struggle for racial equality. The march was a milestone in the rapidly expanding Civil Rights Movement as diverse groups came together to take a stand against social injustice. The huge turnout, and the national media coverage it received, helped move the tide of public opinion that resulted in the eventual passage of the Civil Rights Act in 1964. There was still much work ahead, but now the movement really had America’s attention. 2 hours 17 min ago. Happy #EarthDay from the Presbyterian Historical Society! Here is an image of the very first Earth Day in 1970 that comes from our collection of Religious News Service photographs. To view this image and read about the Presbyterian Church and it's involvement in environmental causes over the years, visit https://buff.ly/2GznHvN.